Andreas Menze has moved from number 28 to number 46 Königsallee and now has a leading position on Düsseldorf’s top shopping street. 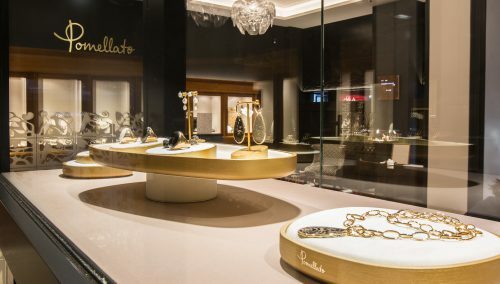 Goldschmiede Menze specialises in jewellery, limited edition watches and quality used watches from brands such as Rolex. 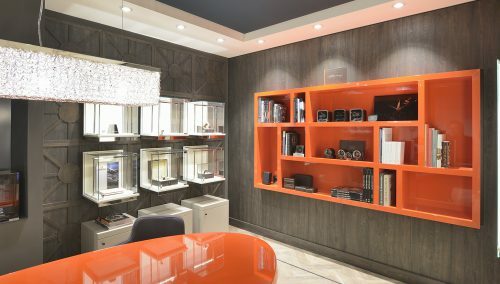 The design and execution of the quality store experience was placed in the hands of the interior architects, engineers and furniture makers of WSB. The building has three floors. The ground floor features an inviting presentation and a sweeping staircase to the first floor with its own attractive presentation. The top floor is all about experience and well-being. Here, customers receive first-class assistance in comfortable surroundings. There is also a team of top goldsmiths working ‘live’ on quality jewellery. Do you have plans? Call (+31 33 2771714) to talk to WSB’s interior architects for a unique design of your store. 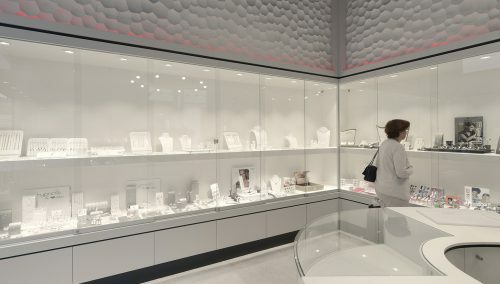 We excel in jewellery, fashion, sports, shoes, opticians – in short, retail concepts – both nationally and internationally.